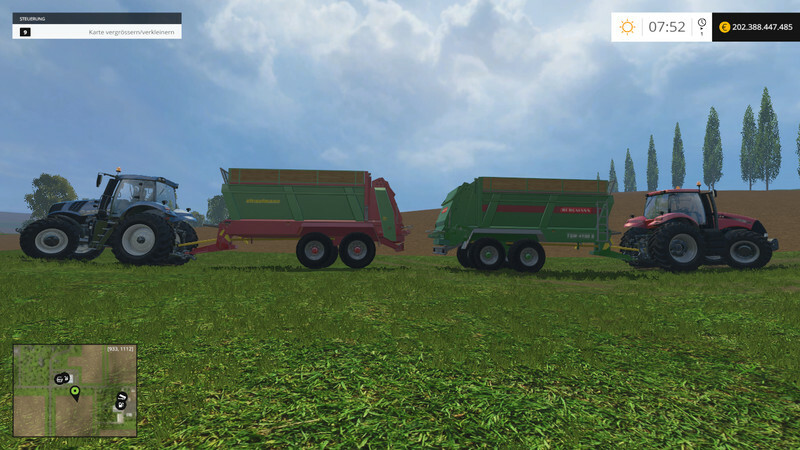 It’s just a small update in which the already known Bergmann TSW 4190 and a Strautmann Miststreuher (only one SKIN, no 1: 1 model, are located. The miner in v1.1 as the white Strautmann have a structure to get the load volume of 14000l on 19700l erhöt. Dei dirt textures were made a little more intense.